RUPES BigFoot 3.5" - 90 mm Coarse and Medium Wool Polishing Pads come in coarse and have been specifically engineered for the RUPES BigFoot LHR 75 and LHR 75E Orbital Polishers as well as gear driven and orbital polishers that accept the 3 1/2” size pad with hook and loop backing. 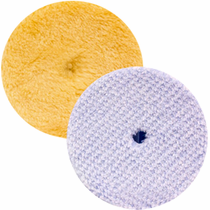 The RUPES BigFoot Coarse Wool 3.5" Pad is made of a dual-density coarse wool fiber mounted on a firm foam backing will allow for swift leveling, cutting and efficient defect removal. The advanced wool fiber technology was engineered to prevent haze as well as other unwanted results caused by traditional wool pads known for leaving behind swirl and haze. 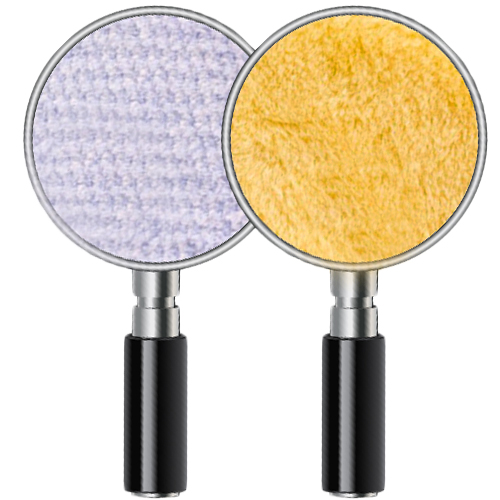 The RUPES BigFoot Medium Wool 3. 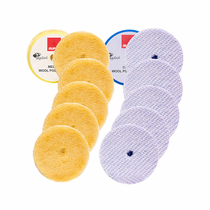 5" Polishing Pad is made from a high grade 15 mm technology advanced wool fiber on a flexible yellow foam backing for medium cutting and polishing capabilities as well as extraordinary final finishing. 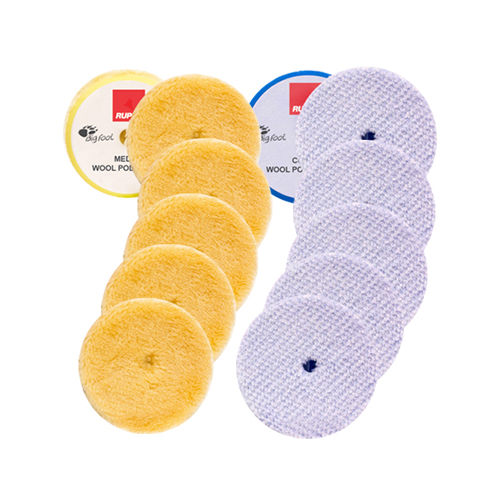 Wash RUPES BigFoot 3.5” Coarse Wool Polishing Pads by hand with warm soap and water or in a washing machine without the use of fabric softeners. Do not wash with non-microfiber products. Press out excess water and allow to thoroughly air dry or machine dry delicate cycle on low heat. Do NOT use dryer sheets or mix pads with other items that are not-microfiber.